The trio of stars who embodied the undisputed Queen of Disco in La Jolla Playhouse's world premiere of Summer: The Donna Summer Musical will reprise their work on Broadway. 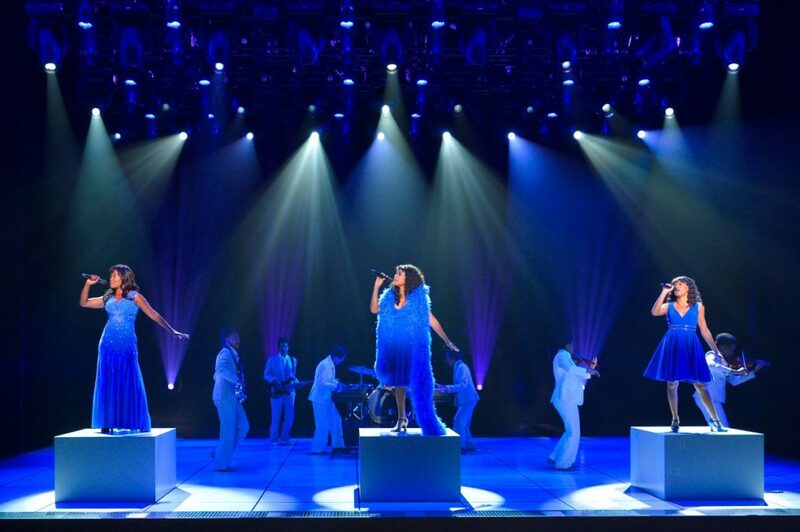 Tony winner LaChanze (The Color Purple), Ariana DeBose (A Bronx Tale) and Storm Lever (Freaky Friday) will portray Donna Summer at different points throughout her career as "Diva Donna," "Disco Donna" and "Duckling Donna," respectively. The previously announced Broadway transfer will begin previews at the Lunt-Fontanne Theatre on March 28 with an opening set for April 23. "I am so very proud to be a part of a production that explores the life, legacy and fame of one of America's most beloved music icons," LaChanze told Broadway.com in an exclusive statement. "Donna Summer and her music have inspired so many of us with joy, fun and the love of dance. And her vocals—don't take her vocals for granted, the diva had range. I look forward to tapping into the spirit of Diva Donna, as we explore the many dimensions and tumultuous rise to fame. #blackgirlmagic." "It's an absolute thrill to be back on Broadway alongside Storm and LaChanze!" said DeBose. "I am beyond excited to share Donna Summer's story with Broadway audiences. I think people will come for her music and leave with much more of the woman they loved." "To experience the wealth of challenges, joys and passion that made up the life of Donna Summer can only be described as a dream realized," shared Lever. Told through the dramatic lens of her final concert, Summer: The Donna Summer Musical presents the complexities and conflicts the famed songwriter and singer faced in her meteoric rise—and descent. Featuring a score with more than 20 of Summer’s classic hits including “Love to Love You, Baby,” “Bad Girls” and “Hot Stuff,” the musical is a tribute to the voice of a generation. The show features a book by Colman Domingo, Robert Cary and Des McAnuff, choreography by Sergio Trujillo and direction by McAnuff. Summer: The Donna Summer Musical will include scenic design by Robert Brill, costume design by Paul Tazewell, lighting design by Howell Binkley, sound design by Gareth Owen and orchestrations by Bill Brendle and music direction by Victoria Theodore. Additional casting for Summer: The Donna Summer Musical will be announced at a later date.